As the house had recently been rewired before we bought it I planned to re-use much of this, so I wasn’t ready for what greeted me beneath the floor boards. It is a chaotic mess and the joists look like swiss cheese rather than structural timbers … no pianos upstairs then. 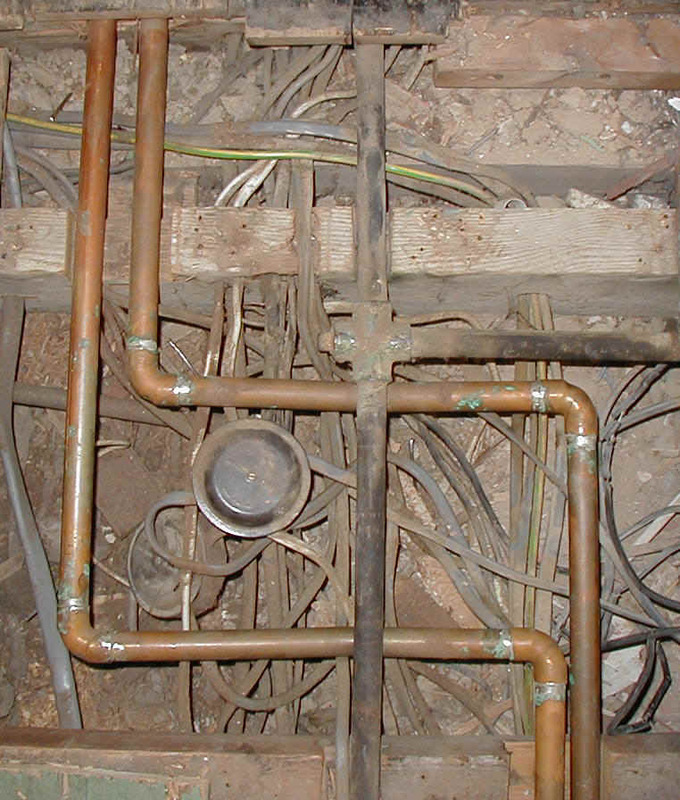 There are 4 generations of wiring under the boards; cotton wrapped, rubber and two sets of PVC cables. There are also some interesting wires from junction boxes, as below. Although there are existing rings for the sockets, when I traced them I discovered they run as a central loop in the landing and most of the sockets are fed as un-fused spurs, they are not suitable to intercept and extend. I need to start again. 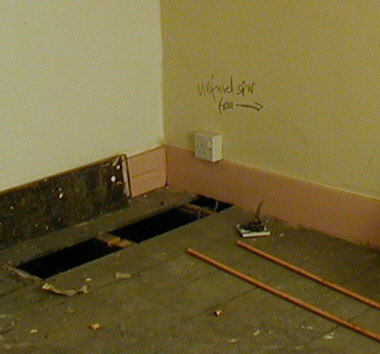 Add to this the news we’ve had about rising damp downstairs … time to re-plan the cable-layout! The next step will be to work out which are the live cables and strip everything else out so I can see the wood for the trees. Removal of the existing live cables will come later, as I need power and light for the rest of the renovation. For this task my voltage detector with audio beep a will be a tremendously useful tool. This entry was posted on Thursday, October 5th, 2006 at 3:17 pm and is filed under Home automation. You can follow any responses to this entry through the RSS 2.0 feed. You can leave a response, or trackback from your own site.